Cities all around the world are increasingly going green. Europe has long been a leader for eco-friendly cities, and now the rest of the world is catching on. Urban centers are becoming car-free and turning into spacious, pedestrian-only areas, free of fumes, honking, and screeching tires. This is a win-win for everyone - residents, travelers, and the environment. The cities on this list are all leaders in their own ways - many are impeccably clean, some are filled with welcoming urban green spaces, while others are always pushing for sustainable initiatives. One thing is for certain - there’s nothing better than living in or exploring a clean, environmentally-friendly city. Whether you’re enjoying a cold drink on a riverside patio smack in the middle of an urban jungle, renting a city-provided bicycle to leisurely explore on two wheels, or sitting under a tree and peacefully reading a book, these cities will give you the green escape you’re longing for. Slovenia is known for its abundance of natural beauty. The beautiful capital of Ljubljana is no exception, where public green areas make up a third of the city’s area. Ljubljana is well known for its pedestrian-only downtown center, its many well-preserved green spaces, including the sprawling Tivoli park, and the charming Ljubljanica River, which is lined with chic cafes and trees. The cobblestone streets of the old city make for peaceful and romantic care-free walks and bicycle rides. In 2016, the European Commission awarded Ljubljana with the European Green Capital title, and the city is the first EU capital to take part in the Zero Waste program. A leader in sustainability, Ljubljana is one of Europe’s greenest and most livable cities. Read more about Ljubljana in our Discoverer Edition! You’re never far from nature in Reykjavik, a city with a small population, bold ambitions, and vast natural beauty. With rugged coastlines, explosive volcanoes, glaciers, and over 800 hot springs, Iceland doesn’t disappoint. Its volcanoes are not only beautiful to look at, but they’ve helped create the largest geothermal heating system in the world, which provides Icelanders with electricity and renewable energy. The country plans to continue working towards making its Nordic air even cleaner by introducing electric cars, which is important as Iceland now has seven times more tourists than locals. We can’t blame anyone for wanting to visit one of the most sustainable and naturally beautiful places in the world. Like every other city on this list, Oslo is also known for its charming green spaces - a whopping 95% of locals live within 300 meters of a park. Oslo is undeniably one of the greenest - in every sense of the word - cities in the world. 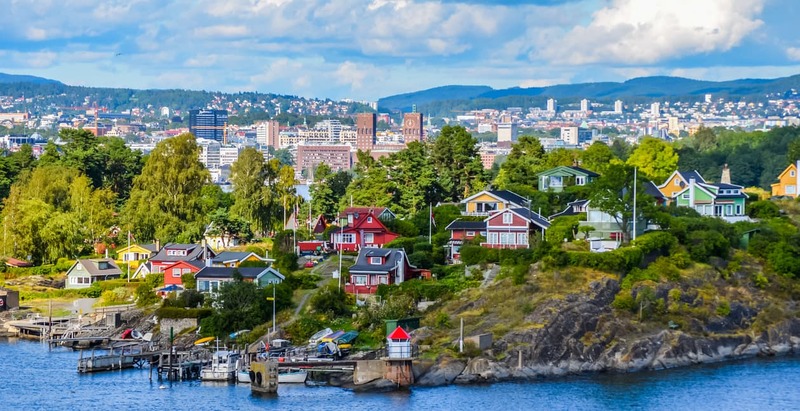 Indeed, despite being a rapidly-growing urban metropolis, Oslo has one of the lowest carbon footprints globally, which is part of the reason it won the title of European Green Capital for 2019. The city offers efficient public transit, a pedestrian-first attitude, and enough public parks and green spaces for everyone to enjoy. Surrounded by mountains and waterways, visitors to Oslo can enjoy peaceful nature within and directly outside of the city. A global leader in tackling climate change, Oslo plans to cut emissions in half by 2020. With over 30% of all vehicles sold in the city being electric, Oslo has become the electric vehicle capital of the world. 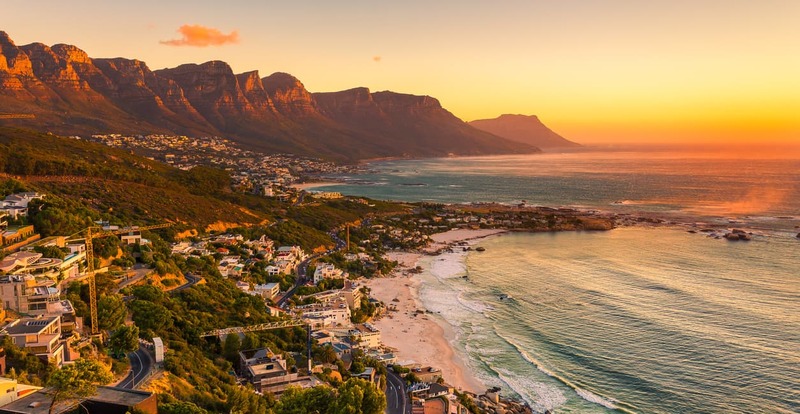 Cape Town has become known as the greenest city in Africa for its efforts in creating an efficient public transit system, introducing more bicycle lanes, and pushing for greater use of renewable energy. Though Cape Town generates more waste per capita than most other cities in the world, it continues to focus its efforts on tackling such pressing issues. A decade ago, Cape Town started using wind energy, and hopes to get 10% of its energy from renewable resources by 2020. Farmers’ markets are popping up, more people are choosing to cycle and take advantage of the new bicycle lanes, and green spaces are being treated with the respect they deserve. It helps that South Africans are outdoorsy by nature. Surrounded by natural wonders, including the towering Table Mountain National Park, Cape Town is a perfect choice for nature lovers. Stunning San Francisco holds the title as the most sustainable city in America. It might seem out of reach for most cities, but San Fransisco plans to be waste-free by 2020. The city banned plastic bags in 2007, and businesses and residents alike recycle efficiently and responsibly. More than half of the public transport in San Francisco produce zero emissions, and you’ll see words like “hybrid-electric” and “zero emissions” painted on most buses and trains. Residents are dedicated to keeping San Francisco on the forefront of sustainability. They care where their food comes from, which is apparent by the number of neighborhood farmers’ markets and vegan options. Dotted with well-preserved public green spaces and almost 30 miles of hiking trails, residents are usually only a hop, skip and jump away from chilling in the park and escaping the bustling city. In almost every other way you can imagine, San Francisco is working to reduce greenhouse gas emissions and become a zero waste city. Living in San Francisco is living in a green future, today. 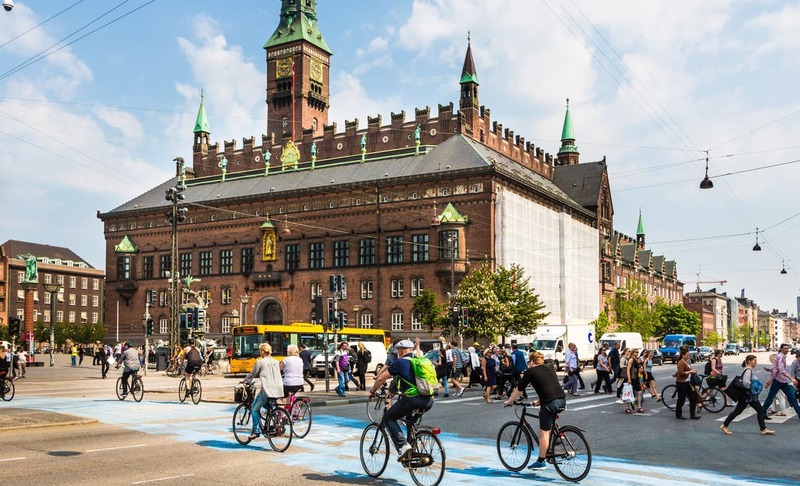 More than anything else, Copenhagen is known for its extensive cycling infrastructure that totally surpasses much of the world’s. An estimated 35,000 cyclists take to Queen Louise’s Bridge during rush hour every day - that’s a lot of bikes! In fact, there are more bicycles than cars in this awesome city. The harbor water is so clean that you can swim in it, and of course, the tap water is also clean and very drinkable. The city plans to be carbon-neutral by 2025 and is on the path to reach that goal, especially if more residents continue choosing bikes over cars and living sustainably. Copenhagen is also a leader in sustainable urban planning and design, which is apparent in its mandate that every building should have a green roof. Singapore is known as Asia’s greenest, cleanest city. Singapore is so ambitious that it plans on not only being the most sustainable city in Asia but the greenest city in the world. That’s going to be quite a feat with competition like Copenhagen and San Francisco, but all the power to this technologically-advanced city. Green space is a symbol of Singapore, such as the 250-acre Gardens by the Bay, which boasts 160-foot-high futuristic-looking ‘supertrees’ that are actually vertical gardens home to more than 150,000 living plants. Most everywhere you look there’s something green in the “Garden City.” Since 2008, the city has adopted a green building mandate, where builders must replace any greenery they displace. The country is dedicated to eco-friendly initiatives in many other ways, and the residents play their part, too. Thousands of locals who live in the urban metropolis make use of their rooftops, turning them into luscious green gardens. By 2030, Singapore hopes to achieve a 70% recycling rate.